The product will be shipped directly from West or East coast warehouses to US and Canadian customers . One pallet has 5000W with 20 Panels. Temporarily out of stock. Replacements are CS6P-230P, CS6P-230PX, CS6P-225P. NewEdge, the next generation module designed for multiple types of mounting systems, offers customers the added value of minimal system costs, aesthetic seamless appearance, auto grounding and theft resistance. 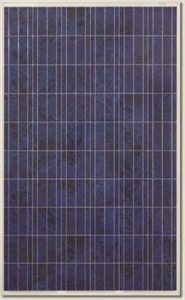 The CS6P-PX is a robust 60 cell solar module incorporating the groundbreaking Zep Compatible frame. The specially designed frame allows for rail-free, fast installation with the industry's most reliable grounding system. The CS6P-PX is the perfect choice for customers who are looking for a high quality, aesthetic module with the lowest system costs.